Omar Minerals a division of Omar Associates (Pvt.) Ltd. has been involved with the Mineral Industry for the last decade. Employing some of the best geologists and scientists of Pakistan. Omar Minerals is credited with some astonishing discoveries one of them being “Talc”. Talc is a rock that is mined from open-pit and underground deposits. Because it is a natural product, talc is always found in combination with atleast one other mineral whose proportion depends on its geological origin. Chemically pure talc has never been found in nature in commercial quantities. Practically all of the talc products offered are impure. The most common host for talc ore bodies is dolomite & ultramafic rocks. Color variations range from snow-white to black, including greenish gray & various shades of green, pink and even red. This region along with adjacent area was subjected to mountain-building in Early Cambrian times (500 million years ago) and granitization took place over large areas of the order of thousands of Square Kilometers Apart from the major end-product granite a number of intermediate products were also generated in peripheral areas viz. Iron ore and Manganese ore deposits. Carbonatite deposits in Swat and Malakand. Fluorite deposits and Fluorite granite in Malakand. Nepheline Syenite and Sodalite Syenite in Swat. Soapstone and Talc deposits in Abbotabad. Magnesium-laden emanations from rocks being granitized, altered the lime stones to Soapstone or Talc as a response to environmental conditions, purity of the emanations & limestones, susceptibility to metamorphism, temperature and pressure conditions, duration of metamorphic episode etc etc. 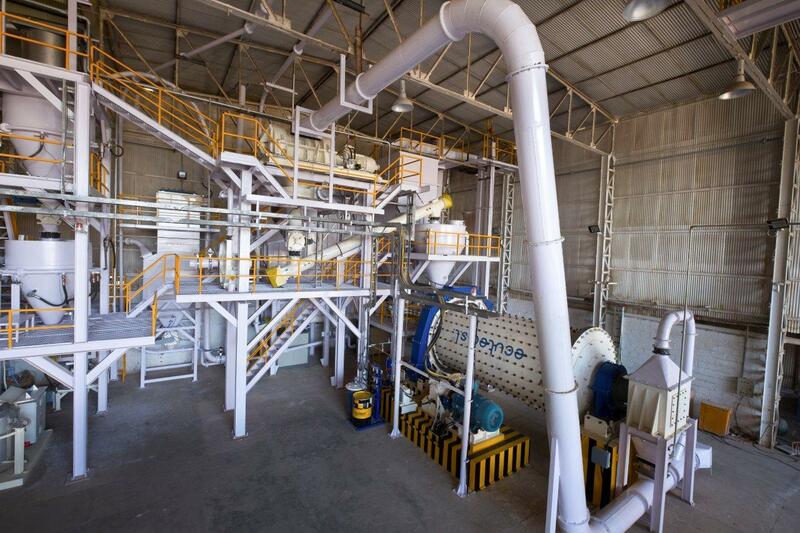 Pakistan is host to some of the best Talc deposits in the world, which are now being brought forth by Omar Minerals. With our own mines, each exhibiting a unique and diverse quality Omar Minerals have now made a systematic and well defined Mining Schedule and strategy to plan & sort out different grades of ores. Each ore sample is then carefully selected and analyzed on site, in terms of their Chemical & Physical properties and then rechecked at our main Laboratory in Karachi. Since Pakistan has no open pit mines the very white talc has to be fetched from deep inside the mines and we place a lot of premium on our white products. Omar minerals mines are situated in the most beautiful & lush green valleys of the North West Frontier Province (NWFP) almost 1600 km North East of Karachi and all endeavors are made to environmentally protect this area. Trees are not allowed to be cut. Great care is taken to ensure that New Mine heads are not situated in and near dense foliage further trees are being planted and a Master plan to this effect is already in place to enhance the ecological balance & harmony of the area. Great care is taken at our mines to ensure that Child labour is not allowed and is totally forbidden. We pride ourselves in establishing the first modern laboratory with state of the art equipment totally dedicated to monitoring strict quality control of our products at each step from the small mines of NWFP to the vast markets of the world. Not an ounce of talc leaves our premises until it has been tested, retested and analyzed for the chemical and physical characteristics that have been promised to our costumers. Our R&D team can also undertake production of various grades of powder to suit individual customer needs. You tell us what you want or we can advise you on what will best assist your particular product. Great emphasis is laid on the right packaging weights that our finished products carry. Imported Kraft paper is used to make paper bags for OMTALC. The products are available from 10kg weights in a paper sack to upto 1-ton PP jumbo bags. Shrink-wrapping & pelletization is all done in house at the packaging stations. Special packing or bulk supplies are also catered to if required. The lustrous white talc extracted from our mines like pearls from a shell are one of the whitest & purest talc known to man or available any where on the face of this earth, which has won many a laurel for being the whitest talc in the world. These Talc bodies carry very little impurities they are Asbestos Free and exhibit a very platy lamellar character making it a “LITTLE WHITE MIRACLE” which we are proud to process for our customers all over the world. Some of the important properties of Talc used in paint are colour, fineness of grind, oil absorption, chemical inertness and resulting viscosity. Talc helps to impart integrity, reinforce paint films control viscosity and prevent sagging of paint films. It improves suspension and prevents settling of solids at the bottom of the paint container. Because talc is very soft (1 on MOHS hardness scale), it causes only minimal abrasion to process and application equipment. It disperses readily in both aqueous and solvent-based paints. Talc having a surface area greater then 12 m2/g is used for gloss control when an exact degree of Sheen or luster is required. Omtalc has the ability to fulfill all major criterions for the paint industry. Our experts from Pakistan & abroad can assist you in delivering custom made talc for all your production needs. OMGLOSS exhibits following characteristics. A major consumer of Industrial minerals, the Ceramic industry (especially Asia) uses Talc for “body” and glazing of: Wall tiles, Sanitary Ware, Electrical Insulating (Steatite Talc) Porcelain Dinner Ware. The talc used is generally of 80 ~ 93% whiteness and 200 – 300 mesh. The formation of enstatite as talc disassociates during firing produces high thermal expansion bodies, which results in glazes being put into compression and thereby minimizes crazing. Low moisture expansion bodies are produced, which results in good resistance to delayed crazing. The massive nature of the talc aids in dry pressing and in preparation of good casting slips. Low firing temperatures are possible. The shrinkage and absorption properties of bodies are fairly constant over a wide temperature range. Good white fire bodies are possible. Glazes of unusual brilliance and attractiveness can be fitted readily to high-talc bodies. Talc is also used in steatite bodies, which are manufactured into high-frequency electric insulators, a segment of the ceramic white wares market. A minor use of talc is as an additive in dinnerware bodies composed of clay, flint and feldspar. Compromising as much as 6% of such bodies, Omcera provides greatly improved craze resistance. OMCERA exhibits the following characteristics. Constant amount of shrinkage on firing. One of the major consumers of talc is the paper industry (especially Europe & Japan.) As paper filler talc has a minimal negative effect on sheet strength but improves ink receptivity. It also reduces gloss but enhances opacity & brightness. The main reason for the growth of talc consumption in paper is the availability of high quality micronized talc. When Talc is used as a Titanium dioxide extender in paper it has a distinct weight advantage, a specific gravity of 2.8 vs. 4.2 for TiO2. This advantage becomes more important as postal rates increase. The unique property of preferentially wetting oily substances in the presence of water makes talc extremely effective in pitch control. Pitch & other oleo resinous components of paper pulps cause serious manufacturing problems if they are not controlled. Talc micronized to a surface area of 12m2/g or more, absorbs the pitch and helps prevent accumulations that would otherwise deposit on the rolls, wire, and other parts of the paper machine. The talc products can be used to pigment latex, starch, or alpha protein coating colors. Ultra fine talc products can be used with clay, calcium carbonate, and titanium dioxide pigments to control rheological properties, calendaring, gloss, ink holdout, opacity & brightness. OMFILL exhibits the following characteristics. The product Omcos has been formulated by Omar Minerals with high purity talc’s after careful sorting and hand picking. In cosmetic industry Omcos is used in baby and body powders, facial products, anti-perspirant sticks and various types of creams and lotions. The quality of talc that can be used in cosmetic application has following characteristics. Odor, slip, lubricity, particle size, and whiteness according to costumer specification. OMTALC has been in very great demand by the Pharma industry due to its purity, thermal and chemical inertness. Multinational companies like Roche, Glaxo Smith Kline, and Merck Marker have been using OMPHARM since it was introduced. Textile sizings are made up of a binder, starch, glue, or synthetic polymer together with mineral powders referred to as weight-adding agents. Finishing agents are employed to improve web impregnation, appearance, dye receptivity, to provide temporary sizing, and to add weight. Casting for Iron ore in the direct reduction process. Calcium carbonate, or CaCO3, is found throughout the world and is one of the most commonly occurring minerals. In its natural form, it appears as chalk, limestone, and marble. Although all three forms are identical in chemical terms, they differ in many other respects, including purity, whiteness, thickness and homogeneity. Calcium carbonate is one of the most useful and versatile materials known to man and wet and dry grinding methods are used in processing it for industrial applications. Calcium carbonate is the most widely used mineral in the paper, plastics, paints and coatings industries both as filler and as a coating pigment. In the paper industry, it is used as an inexpensive filler and is greatly valued for its high brightness and light scattering characteristics. In the paints industry, it is used widely used an extender and can represent as much as 30% by weight in paints. It is also one of the widest used substances in the production of master batches for the plastic industry. It also is used as a filler in adhesives, and sealants. Calcium carbonate is used widely as an effective dietary calcium supplement, antacid, phosphate binder, or base material for medicinal tablets. It also is found in many grocery products such as baking powder, toothpaste, dry-mix dessert mixes, dough, and wine. Calcium carbonate is the active ingredient in agricultural lime, and is used in animal feed as well as water and waste treatment. Calcium carbonate is used both as a building material in the form of marble and as an ingredient of cement. It contributes to the making of mortar used in bonding bricks, concrete blocks, stones, roofing shingles, rubber compounds, and tiles. Calcium carbonate decomposes to form carbon dioxide and lime, an important material in making steel, glass, and paper. Because of its antacid properties, calcium carbonate is used in industrial settings to neutralize acidic conditions in both soil and water. Calcium carbonate in one of the most commonly found minerals in nature and is available all over the world. Pakistan is no exception and has been blessed with huge quantities of Calcium carbonate. 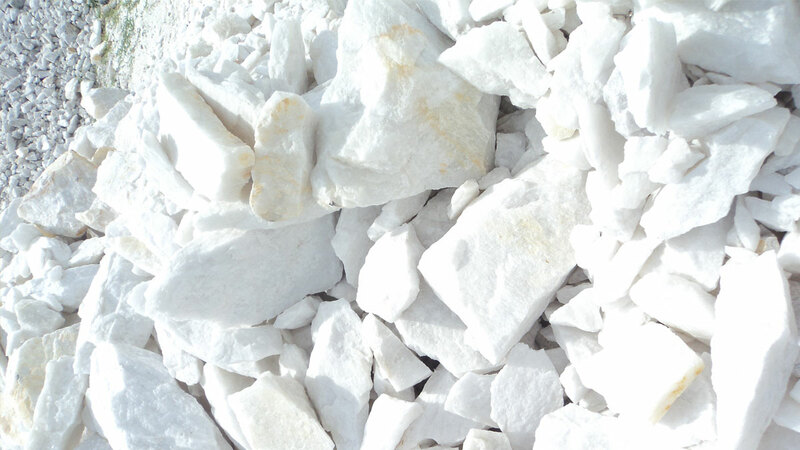 As with other minerals, due to its geological topography, the calcium carbonate deposits in Pakistan are of very high quality, purity and whiteness. We have control over large calcium carbonate deposits and depending upon our clients’ specifications, we can deliver upto 99.5% pure calcium carbonate with whiteness also ranging between 93% – 95%, hence making it one of the best materials available anywhere in the world. We are proud to proclaim that we are a complete vertically integrated unit processing calcium carbonate lumps to fine and ultrafine powders or GCC. Our stare-of-the–art manufacturing plant is 100% European origin and is one of its kind in Pakistan. Equipped with the latest technology in grinding and formulation, the unit consists of ball mills, classifiers, pneumatic transportation systems, coating plant and analysers. In order to control the consistency of the product, our plant has an in-line particle size analyzer, which eliminates the need for continuous sampling and ensures that entire product batches conform to the particle size specifications down to a micron. This system is one of its kind in Pakistan and gives us a unique edge over our competitors. The facility also has a fully automatic coating unit which has also been imported from Europe and is fully compatible with the grinding plant. We can coat our material as per customers’ specifications to the smallest percentage. Depending on the grade being produced the plant has a production capacity upto 20 tons per hour. The product is currently available in 25 kg PP bags but we can pack in bulk in special cases if the order size is sufficient. Furthermore, we have the capacity to consistently produce top-cut size ranging from d98<20 microns down to d98<3.5 microns MSDS sheet Given our unique geographical location, we have an exceptional advantage to deliver our finished product all over the world at very competitive rates.